SPOTLIGHT Report & Chronology, Moroccan American Center for Policy (Washington, DC, April 24, 2012) — As the takeover of Mali’s historic Timbuktu by al-Qaeda and other militants highlights volatility in Africa’s Sahara/Sahel, a new report documents how refugee camps run by the separatist Polisario Front near Tindouf, Algeria have become a recruiting ground for terrorists and traffickers in the region. The report urges UNHCR (UN High Commissioner for Refugees) to also focus aid to the camps on durable solutions that help resettle refugees, improve humanitarian conditions, and stop perpetuating another source of instability. Kidnappings and collaboration with al-Qaeda in the Islamic Maghreb (AQIM), including the Oct. 23 kidnapping of Western aid-workers in the Polisario-run camps by an AQIM-offshoot, with Polisario-insider assistance. Since 1990, international support for the camps has exceeded $1 billion—and US aid exceeds $300 million. 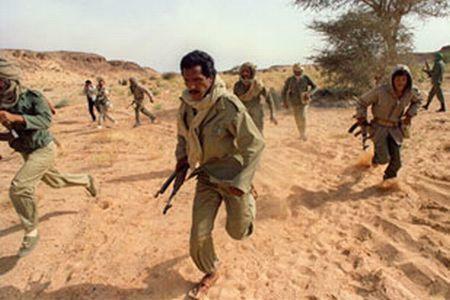 Much of it has reportedly been diverted to profit some Polisario leaders. While international aid has provided vital resources to the refugees and should continue, it has done little to promote durable solutions, a principal mandate of the UNHCR under international refugee law. Given escalating security concerns and a humanitarian crisis in the camps, the report recommends that US support to UNHCR for the camps also be used for durable solutions to resettle refugees, remove security threats, and improve humanitarian conditions. According to multiple reports, the Polisario violates refugee rights and is the leading impediment to refugee resettlement. Sahrawi refugees are among the only refugees in the world who are welcome to go elsewhere, if the Polisario would let them.